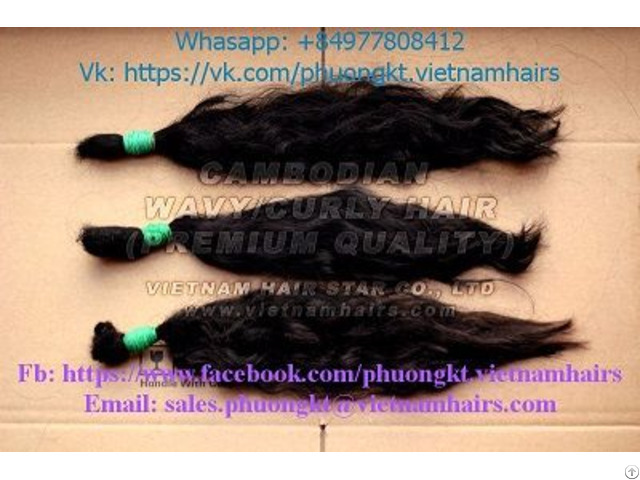 Cambodian natural wavy/curly hair, premium quality. 100% original hair from Cambodian collectors. Quality of hair: strong, thick and coarse, very suitable for African women.